The series takes place between ‘The Empire Strikes Back‘ and ‘Return of the Jedi‘ and centers on a family named The Freemakers. The focus is on the kids of the family, which are Rowan, Kordi, and Zander, who make their way in the galaxy by salvaging parts from destroyed ships to make new and improved ones, which after they complete – they sell them. This is similar to how we find Rey on Jakku in ‘The Force Awakens‘. They even have their own little droid to accompany them. 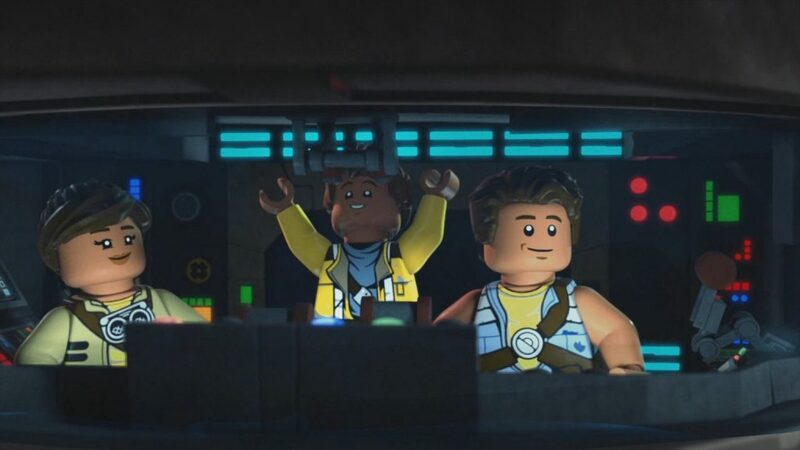 These three kids find a special light saber, which has them put in the middle of the Empire and Rebels on some fun adventures, where they might find their connection to the force. 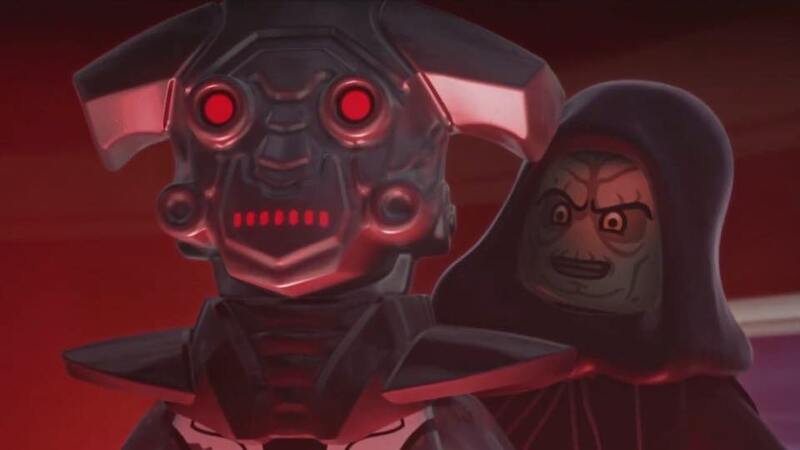 There is a bit of that unique LEGO humor throughout, but most of it is definitely geared towards young kids and not similar to ‘The LEGO Batman Movie‘. Quite a few of your favorite characters from the original trilogy do show up as a few references to the prequels, which is always fun to see with some decent voice acting throughout. The only original actor to come back for their own character though is Billy Dee Williams as Lando, and even then it isn’t a huge part. There are a total of twelve episodes here with the last episode being called ‘Return of the Return of the Jedi’, which made me laugh. The bonus features also round up five animated shorts that run about 4 minutes each. 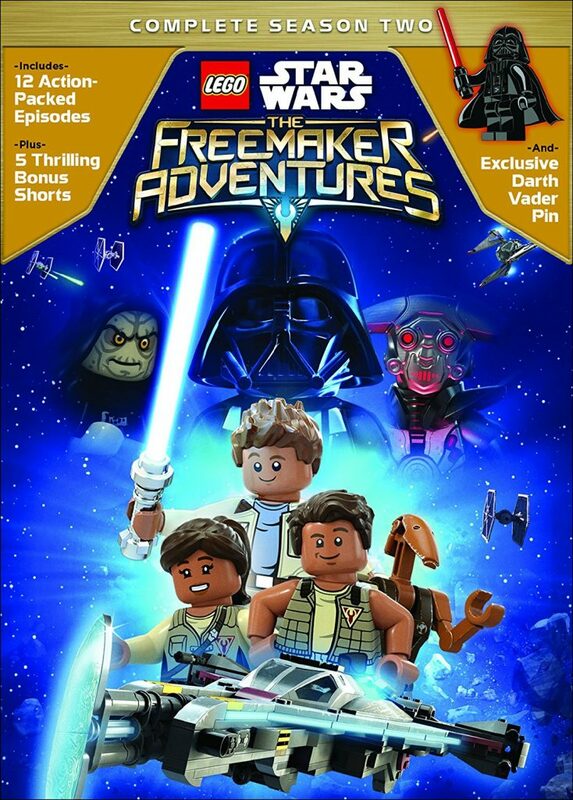 If you’re a ‘Star Wars‘ fan and have little kids, you might want to check this out, but I doubt you’ll see any of the Freemakers in one of the bigger films anytime soon. Film Review: ‘Avengers: Infinity War’! This entry was posted on Tuesday, March 27th, 2018 at 2:43 pm	and is filed under Film, News. You can follow any responses to this entry through the RSS 2.0 feed. You can skip to the end and leave a response. Pinging is currently not allowed. « Favorite Movie Scene of the Day #19!